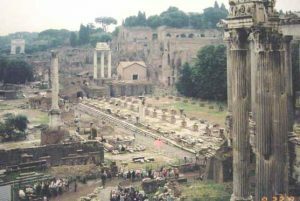 What was a Roman forum? At the center of most Roman cities was a big open space called the Forum. People met there to do business, to sell things and buy things, to see their friends, to find out about the news, and even to go to school. The Senate met in the brick building on the right of the photograph (actually this is a later replacement for an older building that burned down). 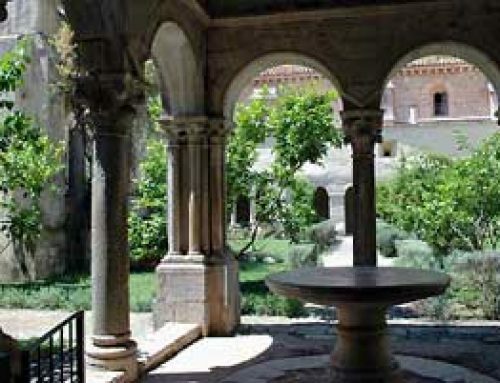 They called this building the Curia. When did people build the main Roman Forum? The Cloaca Maxima, the Great Drain of Rome, that has drained water from the Roman forum into the Tiber River for 2500 years. This is the main forum in Rome, the biggest and the most important of the Roman fora (one forum, two fora). In the Stone Age, the area that is now the Forum was just a swampy wetland near the Tiber River, between the seven hills of Rome. Nobody wanted to hang out there! It was probably full of mosquitoes in summer and muddy for most of the winter and spring. 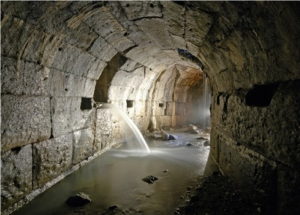 The inside of the tunnel that drains water from the Roman Forum. 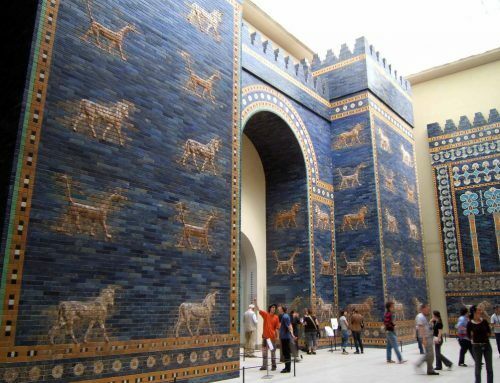 But around 500 BC, at the time of the founding of the Roman Republic, the Republican government of Rome decided that it needed this convenient flat area near the river for meetings, for trade, and for official government business. What is the Cloaca Maxima? So the government hired a lot of people (and probably bought some enslaved people) to dig a canal down the middle of the swamp to drain away the water. The canal emptied into the Tiber river. 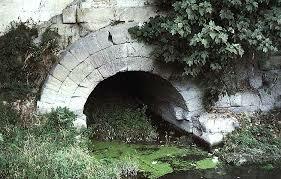 Soon, they decided to cover over the canal and make it an underground tunnel. That tunnel is the Cloaca Maxima (Latin for the Great Drain), and it’s still draining water out of the Roman Forum today, 2500 years later. What kind of buildings were in the forum? Once the Forum was dry, people started to use it for meetings of all kinds. Everyone met in the Forum. 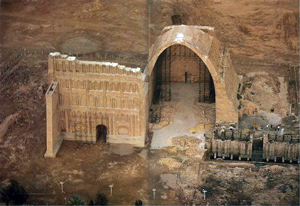 The government gave it stone pavement so it wouldn’t be dusty or muddy, and put in peristyles for shade. Around the edges there were fancy buildings: temples, and basilicas, and sometimes stores (shops). 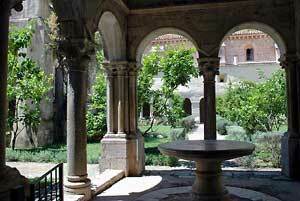 A basilica was a big open building like a church, where Roman officials could hold meetings out of the rain and sun. The government used basilicas as courtrooms, and for things like award ceremonies or state funerals. In some cities the Forum also had a platform in it that people could stand on to make speeches. This platform was called the Rostra. What are the Imperial Fora in Rome? So Julius Caesar built a new forum off to the side of the first one. This is the forum of Julius Caesar. 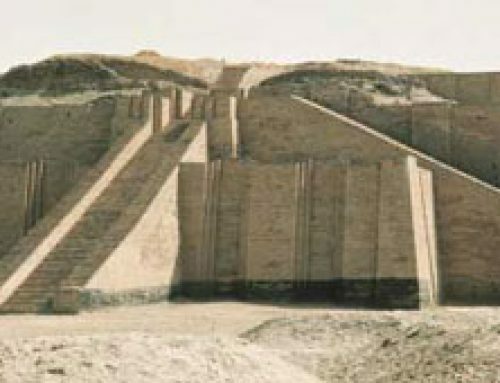 It has a temple at one end, but you can’t see it in this picture. 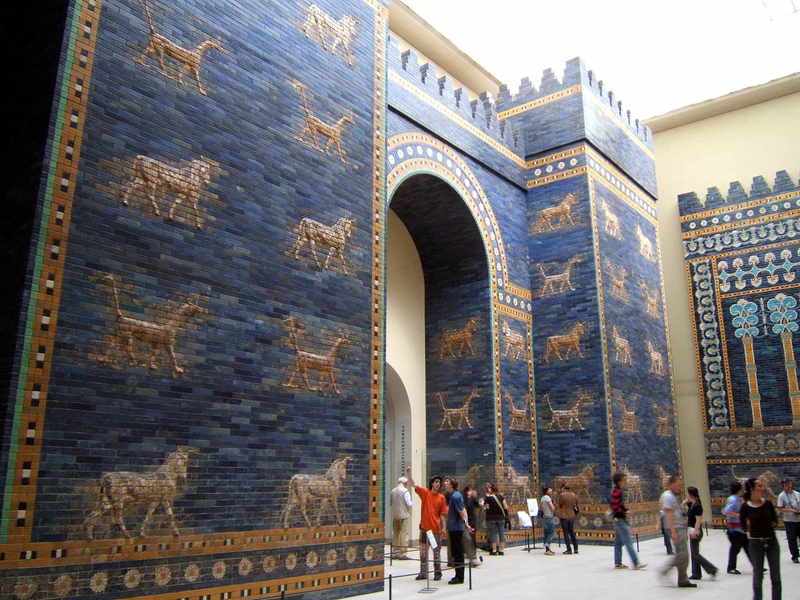 What you can see is the doors of a lot of little shops, for the businesses that were located in the forum. 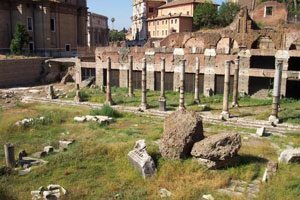 (In the time of Caesar, the forum was paved in stone, not all grassy as it is now). This is another picture of the forum of Julius Caesar. 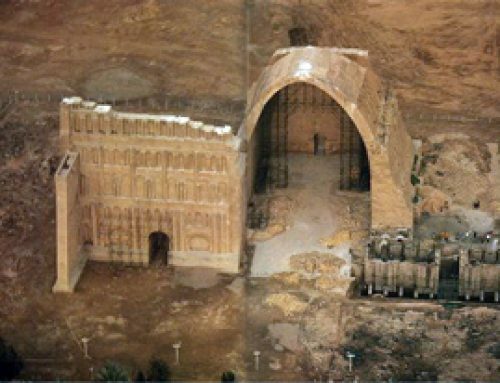 The big pinkish cement blocks in the front of the picture are from the temple of Venus that once stood here. They were part of the roof, but they have fallen down to the ground. 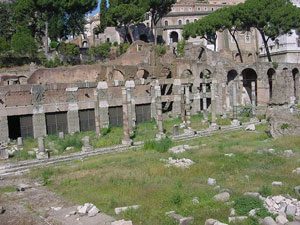 You can also see the doors of the shops, and the peristyle that once ran all around the forum. But there still wasn’t enough room for all the meeting and shopping that happened in the Roman forum as the city got bigger and bigger. So the emperor Augustus built another forum near the forum of Julius Caesar. 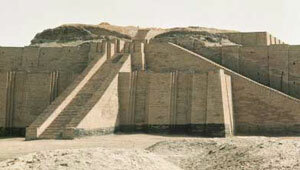 In it, he put a temple to the god Mars (the husband of Venus). 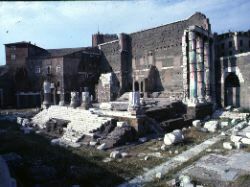 In the back of the Forum of Augustus, you can see the remains of the temple – see the white marble steps going up to the temple, and the white columns along the sides? Later Roman emperors also built new forums to expand the business and government space in the center of Rome. The emperor Trajan built a big forum with two libraries in it – a Greek one and a Latin one – and a big indoor shopping mall on one side. 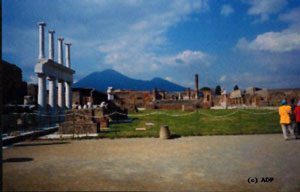 Other Roman towns also had fora- this is the forum in Pompeii, in southern Italy (you can see the volcano, Vesuvius, in the background). This one has a two-story peristyle going around it. Learn by doing: where is the central place in your town? What do people do there? Go spend several hours there. The Colosseum & the Roman Forum, by Martyn Whittock (2002). Easy reading. Cite this page: Carr, K.E. The Roman forum – Roman architecture. Quatr.us Study Guides, August 26, 2017. Web. April 20, 2019.
when was the roman forum built. Sorry you didn’t like it! It sounds like you’re having a bad day. Are you writing a report? Would you like some help with it? Same response: was there something you were trying to find out?